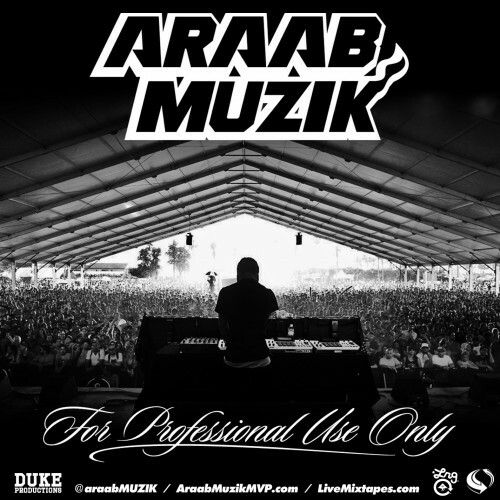 For Professional Use Only is a showcase of Araab Muzik’s abilities as both a composer and MPC virtuoso. The album rarely relents, unleashing a constant stream of intricate beats for 67 minutes. Its an enjoyable, albeit lengthy ride through Araab Muzik’s mind. While a few of the albums 20 tracks stand out, most are easily enjoyed and then easily forgotten. While exciting to hear live, I find that I grew bored with the endless torrent of admittedly awesome beats. I think Araab Muzik has vision and ability to become the greatest hip hop producer in the world but he desperately needs to find a trusted collaborating partner. As an instrumental artist, his muzik seems to be missing a key puzzle piece. Though he has produced for a handful of rap artists in a limited capacity, I’d love to see him breakout with an entire album produced for a single rapper. Certain tracks really can hold their own like “Turn Tha Tide” and “This For The Ones Who Care”, but these are tracks that lean much further toward the world of dubstep than rap. These tracks are also heavy enough and developed enough to entirely stand up on their own. Other beats like “Street Knocks” and “I Can Show You” are just begging for a rap verse or two. For Professional Use Only is an inspiring direction for hip hop and electronic music production but with out collaborating artists to support the beatcraft, it just runs on too long to warrant many repeat listens. I’ve gone start to finish a handful of times and there are a couple tracks I’ll keep in circulation but the rest will probably be soon forgotten. I will continue to keep a close eye on Araab Muzik’s career development and jump on any opportunity I get to see him live. I recommend you do the same.